All City New York: "Greater Harlem"
A recent article came out in the NY Times with the headline "No Longer Majority Black, Harlem is in Transition." I have some problems with the general point and tone of the article, but better social commentators than I have detailed most of them (by the way, a much, much better and more straightforward article about the changing demographics of Harlem by Queens College Sociology Professor and Demographer Andrew Beveridge can be found here). As a demographic analyst though I would like to point out some facts that the Times was sloppy about at best, and disingenuous about at worst. First though, I want to explain why the Times uses the boundaries of "Harlem" that they do - which they make no effort to explain themselves. 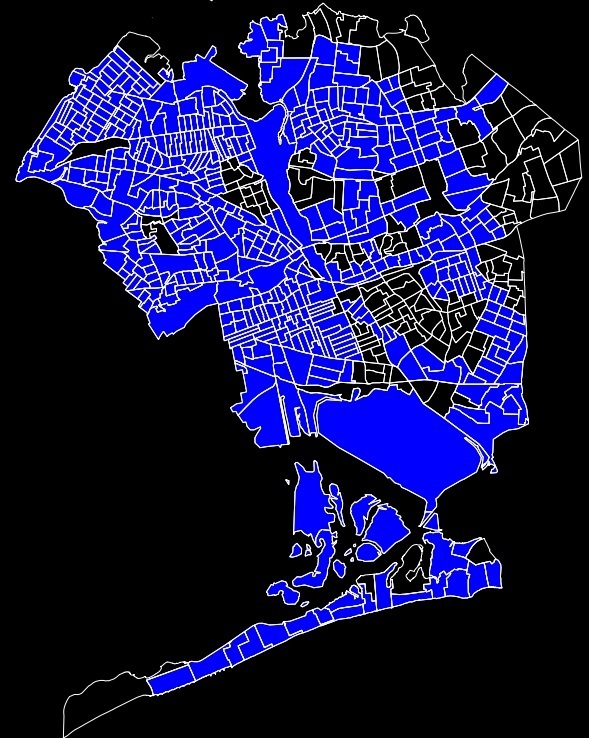 As it turns out, they count a huge chunk of upper Manhattan, including Morningside Heights and East Harlem. There have been a few different people who have said things like "how can they say Harlem goes down to W. 106th street? How can they count Morningside Heights as part of Harlem?" or otherwise raised the regular old "what are the official boundaries of Harlem?" discussion (for the record - there are no "official" boundaries of any neighborhood in New York). The answer is kind of boring. 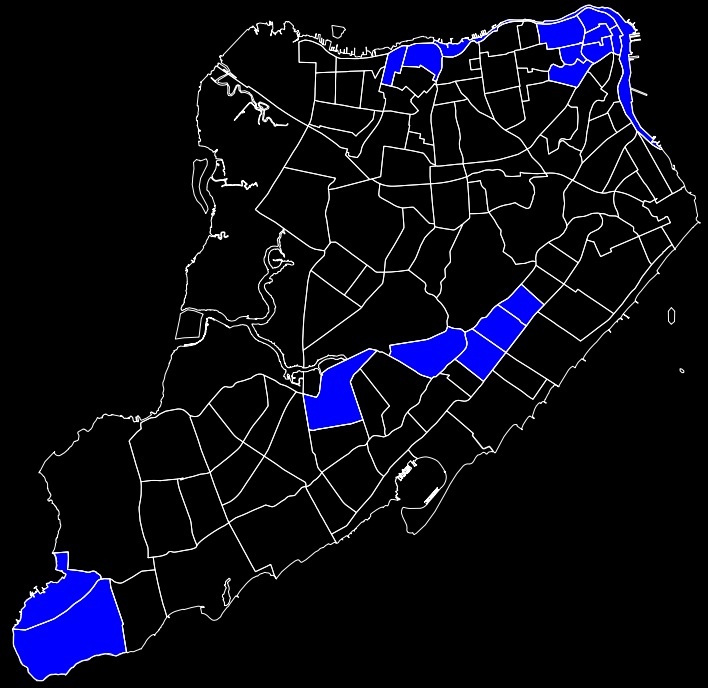 The reason the NY Times defines "Greater Harlem" as "river to river, and from East 96th Street and West 106th Street to West 155th Street," is because that exact area is what corresponds to the Census Bureau's Public Use Microdata Areas (PUMAs) NY03802 (West Harlem), NY03803 (Central Harlem), and NY03804 (East Harlem) - which is what the Times uses as their source for the demographic data. PUMA 03803 actually also takes in the Polo Ground houses north of 155th street as well, which the Times neglects to mention. Don't ask me why the Census Bureau divides up the PUMAs that way. They usually roughly follow the Community Boards, but not always exactly. In this case, the slight difference is that Community Board 9 (West Harlem) starts at W. 110th street instead of W. 106th. Now, as to why they used those three PUMAs to define Harlem? I suspect because that's the area that gave them the headline they wanted. "About 70% Black Now, Harlem is in Transition" - which is what they would have gotten if they had used just PUMA 03803 (Central Harlem), doesn't quite have the same ring to it. 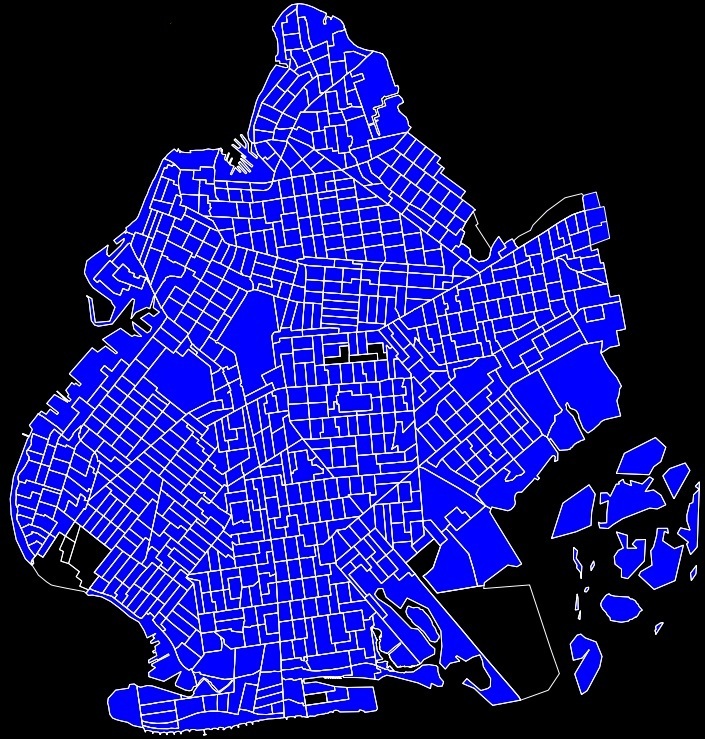 Even if you combine West and Central Harlem, or Central and East Harlem, the area is still majority black. But back to the stats: a subtle thing I realized after looking through the numbers from the 2008 American Community Survey, was that whenever the Times says "black" - as in "in 2008, according to the census, the 77,000 blacks in central Harlem amounted to 62 percent of the population" they actually aren't using the numbers for the black population at all - they're using the numbers for the non-Hispanic, non-multiracial black population. So if you're a black Puerto Rican, or if mom's African-American and your dad's Dominican, or Irish, or Chinese, you aren't counted as "black" in the Times article. And this Hispanic and multiracial black population is fairly significant - about 10,000 people in Central Harlem, or about 8% of the population. 1) The article specifically says "non-Hispanic white," when talking about the white population and doesn't say "non-Hispanic black" when talking about the black population. 2) Hispanics have only been separately enumerated since 1980, and multiracial individuals since 2000. So all of the numbers the Times uses when referencing the black population up to and including its peak in 1970 were counting black Hispanics, and all of the numbers afterward were not. All the numbers up to 1990 were counting multiracial individuals who primarily identified as black, and all the numbers afterward were not. This artificially exaggerates the decline in the black population. This is just one concrete example of the larger issue - the Times' purposeful picking and choosing of statistics in order advance the narrative that the decline in black population is more significant than it is. You have to wait until halfway through the article before they tell you that in the "Greater Harlem" area they're talking about, blacks never made up even as much as 2/3 of the population (and that includes multiracial and Hispanic blacks). Not that this would be a terribly significant piece of news, except when coupled with the realization that the article is completely designed to overemphasize the decline of the proportion of Harlem's black population. In fact "Greater Harlem" was barely majority black (about 52%) way back in 1990 - which is probably under 50% if you coun't people who would have identified as multiracial if they could. But of course "As Black Percentage of Population Declines by 11% at Most Over 18 Years, Harlem is in Transition," sounds really awkward. i read demographics for various projects, and i found the times article slanted and sloppy as well. i also saw it as irresponsible reporting in an effort to direct the rest of the population's attention to harlem, wishing to speed up the gentrification process, for financial purposes. i don't trust media outlets for news; they are *instructed* what to report and how.